Your partners in tailored financial planning and investment advice. With decades worth of experience in the industry we strive to give you the best possible financial planning advice and solutions. If you would like set up a meeting or would like to find out more about how we can help you, feel free to get in touch. Founded in 1991, Progressive Wealth (Pty) Ltd is a firm of independent financial planning and wealth management consultants, providing advisory services to private clients, business owners and corporates.. Situated in Johannesburg and with a client base throughout South Africa, we aim to develop lifelong relationships with our clients by protecting, preserving, and creating wealth in order to assist them in achieving their desired lifestyle needs and objectives. Based on sound principles of trust and integrity, our financial planning service is focused on adding value to our clients through effective and tailor made local and offshore investment planning, retirement planning, and risk product solutions (long term assurance). With over 30 years combined industry experience, we are registered CERTIFIED FINANCIAL PLANNER® professionals, and are members of the internationally recognised Financial Planning Institute (FPI). Our financial planners have both strong investment and life industry backgrounds, and continuously strive to be on the forefront of the ever changing financial services industry. We strive to assist our clients in the attainment of their financial goals in the most efficient manner possible. At all times, we are committed to honesty, integrity, transparency, and professionalism in dealing with our clients and selected business partners. As independent financial advisors, we are able to ensure the best possible product and pricing for our clients. Progressive Wealth’s clients can therefore have the peace of mind that their financial decisions are being handled by a dedicated team whose interests are aligned with their own. By conducting a comprehensive financial planning evaluation with our clients, we are able to construct and advise on the best possible solution for long term wealth creation, capital protection, and meeting of financial needs. Including that of both local and offshore, we recommend and manage discretionary investment portfolios for our clients based on their objectives, risk profile, and time horizon. All portfolios are invested across funds or investment vehicles managed by the industry’s leading asset managers. We conduct intensive research to identify these leading asset managers that we believe will add value to our client’s portfolios. One of the most important aspects of financial planning is that of pre and post retirement planning, which ensures that our clients are able to maintain their standard of living throughout their lifetimes. This service proposition also utilises portfolios that originate from our internal investment process and approved list of registered funds. In addition to wealth creation, we also offer specialised estate planning solutions to our clients. This includes advice and assistance with regard to wills, trusts, estate duty calculations, and tax efficient planning to ensure that your wealth is protected and preserved during your lifetime and upon death. Just as vital as wealth creation, is that of your ability to create wealth. Should this ability be lost due to death, disability, or illness, it can have dire consequences for you and your family’s immediate and future financial situation. These same risks also apply to business owners. By offering tailor made risk solutions to our clients, Progressive Wealth can remove the risk of this negative financial impact in the event of death or inability to work. Originally known as SWM Financial Advisers, our business was renamed as Progressive Wealth in early 2007. What hasn’t changed though is our passion for sound advice, quality client servicing, and aggressive growth of our asset base. Our approach is purely client focused and revolves around understanding both client’s concerns and objectives, which in turn, enables us to deliver the best possible financial planning solution. 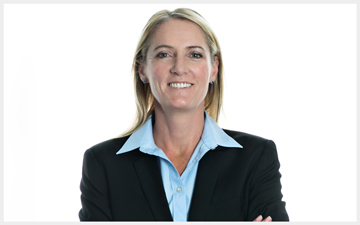 After completing her B.Com degree at the University of Potchefstroom, Ronel joined Liberty Life in 1998. Apart from gaining significant knowledge and experience of the life and estate planning industry, she also went on to complete her postgraduate diploma in Financial Planning with the University of the Free State. Ronel joined the business in 2002 and was appointed a director in 2003. 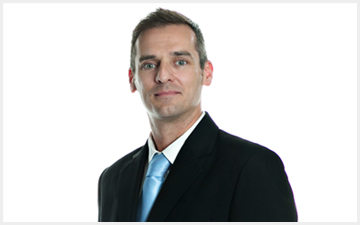 Consulting to clients since the start, Ronel also took over management duties in 2004. In addition to being a member of the Financial Planning Institute, Ronel has also completed her First Level Regulatory Examination (Financial Services Board) for both Representatives and Key Individuals. 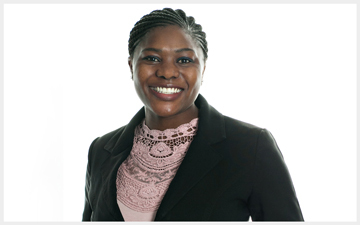 More recently, she has achieved her Honours degree in Financial Planning through the University of Johannesburg. Peter-John was appointed a director in 2008 after joining Progressive Wealth in 2007. After completing his B.Com (Hons) degree at RAU, Peter-John joined Liberty Life. Following this, he then joined Investec Asset Management (SA & UK) in 2002 for five years, where he also completed his postgraduate diploma in Financial Planning through the University of the Free State. This combined experience and background has resulted in Peter-John bringing a strong investment focus to the business. Peter-John has also completed his First Level Regulatory Examination (Financial Services Board) for both Representatives and Key Individuals. In addition to this, he has recently completed his advanced diploma in Financial Planning & Investments with the University of the Free State. Nico joined Progressive Wealth at the beginning of 2017 after completing his B.Com in Finance at the University of Johannesburg (UJ). 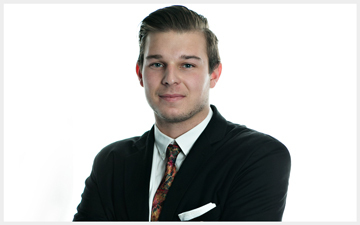 Whilst currently working as a junior financial advisor under supervision, Nico is also studying towards his Honours degree in Financial Planning at UJ, following which, he will be writing his CERTIFIED FINANCIAL PLANNER ® exams. Apart from energy and enthusiasm, Nico also adds further depth and continuity to the financial planning and advice side of the business. With close to a decade’s experience as an administrator, Faith started with Progressive Wealth at the beginning of 2013 and has become a key member of the overall service function of the business. In addition to her broad knowledge of the financial services industry, Faith recently completed her B.Com in Financial Management. Agnes joined Progressive Wealth in 2016 after spending a total of ten years in administrative and secretarial positions with the revenue services and manufacturing industries. She holds a B.Com in Business Management and is currently working towards a Basic Financial Skills qualification through UNISA. Following years in the accounting side of business within the banking and legal industries, Carol-Ann was then employed by Investec Asset Management for 13 years. After a brief retirement, she decided to venture back into the financial services industry and joined us in early 2016 as an office administrator and client liaison consultant. Utilising the research and expertise of our Investment Committee, headed up by Rafiq Taylor (Graviton Financial Partners), we have been managing model portfolios for our clients since the beginning of 2014. These actively managed unit trust portfolios, which include some of South Africa’s top asset managers, seek to match investment returns with specific risk profiles as well as to provide clients with consistent inflation beating returns over the medium to long term. At present, we only utilise these portfolios within client’s compulsory investments (retirement funds). The links below provide the most recent fund fact sheets for the three portfolios, which include the investment objective, risk profile, underlying asset managers and historic performance. Should you be interested in investing in these model portfolios or any other Progressive Wealth investment strategies, please contact us to schedule an appointment. Many new and experienced investors today seek low cost investment options, whether it be for retirement savings, a short term savings objective, tax free savings accounts, etc. For this reason, Progressive Wealth has introduced a RoboAdvisor option within our service offering. In partnership with Sygnia*, the RoboAdvisor provides investors seeking to invest without the assistance of a financial advisor, the tools required to find a suitable investment product and investment portfolio matched to their investment needs and risk profile. 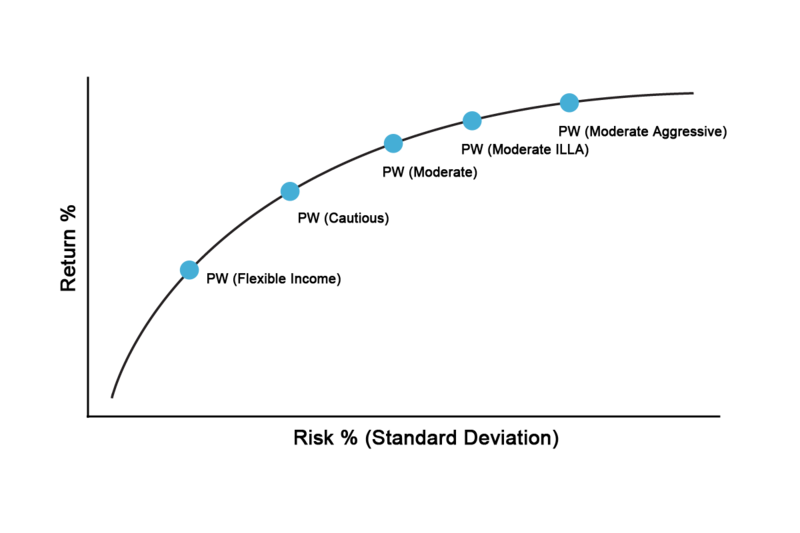 Utilising passive investment strategies, the total investment fees are significantly lower than that of traditional investment portfolio fees. Progressive Wealth will assist RoboAdvisor clients with any administrative or service related requests. In the event of eventually seeking ongoing financial advice, RoboAdvisor clients can then move over to the full service offering from Progressive Wealth. The applicable fees would then be disclosed based on the working relationship going forward. *With in excess of R150bn in assets under management and administration as well as being listed on the main board of the Johannesburg Stock Exchange (JSE), Sygnia is a leading FinTech company offering stockbroking, asset management and administration services to a wide range of retail and institutional clients throughout South Africa. We have now moved to our new offices in the Stoney Ridge Office Park.